Faculty, students, independent scholars, and practitioners are invited to invited to attend to see papers, posters, and organized sessions in all fields and subfields of anthropology, both academic and applied. The 98th annual CSAS conference is student-friendly and features a paper competition for both undergraduate and graduate students. It also offers an opportunity for anthropologists from throughout the Midwest, from institutions large and small, to meet, talk, and network in a welcoming and professional environment. For abstract and biography click here. CSAS Conference Schedule: This program contains the schedule and abstracts for all sessions. We strongly recommend that participants download their own copy to save on CSAS printing costs. 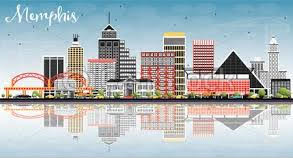 Those who would like a printed version in Memphis should request one from the conference organizer at [email protected]. Online registration: CSAS regular member: $75; CSAS student member: $30; non-member: $115; student non-member: $50. To register click here. To register you must be a member of the American Anthropological Association so you can log onto the portal. Once you find the CSAS meeting, please click on the register button, login with your AAA information, and proceed with registration. Friday evening buffet for attendees is $5.00 (students are free), and all meeting participants are welcome to attend the Saturday business lunch, for which the subsidized ticket price is $10.00. The Central States Anthropological Society welcomes scholars from all over the world, studying anywhere in the world. Our annual conference fosters inter-generational conversation with a strong, welcoming Midwestern atmosphere of equality, camaraderie and mutual growth. Students enjoy the focused attention and collaborative questions they receive on their research presentations and the opportunity to present alongside some of the big names in anthropology.